At Polygiene, on occasion we receive letters of endorsement from advocates that have recently been turned on to the brand and our game changing functionality and performance. There is nothing we love more than the realization of a person, whether that be an athlete, business person, hockey mom or dad, or weekend warrior, in realizing the ability to Wear More. Wash Less©. Recently, we had just such an interaction with some young athletes from the UK Ski Team who were training for their upcoming winter ski race season. Thanks to our great PR team, Spring PR and our respected partner, Salewa, for helping organize this “test” with the UK Ski Team. 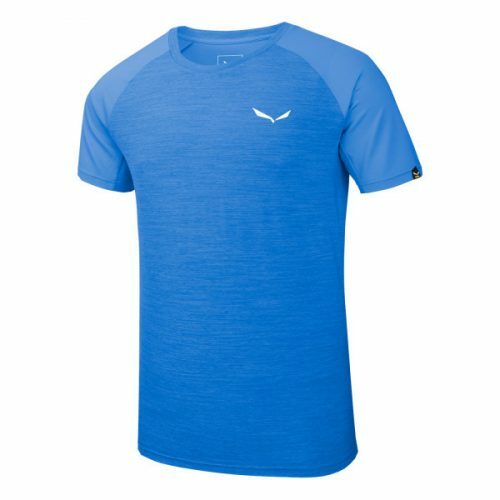 The product in test is the Salewa Pedroc Hybrid Dry Men’s T-Shirt that is perfect for dryland training or as a base as Jack and Tom explain below. We all look forward to a successful winter season ahead for these talented athletes and nice work boys! My name is Jack Cunningham, and along with one of my team mates – Thomas Butterworth – we have been testing your Salewa Polygiene tops for the past week, kindly given to us by Paul. 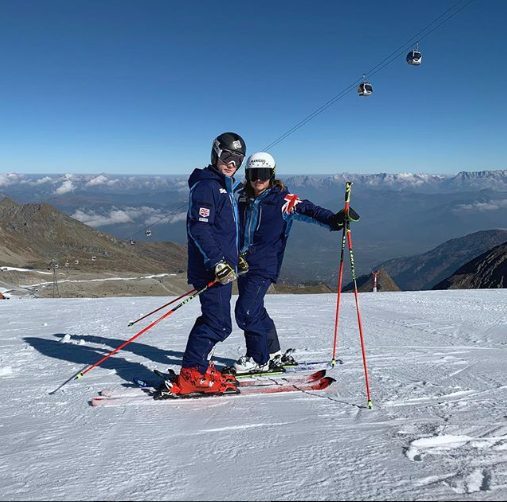 As you know, we are alpine ski racers that represent Great Britain and we are constantly sweating and working hard as part of our training programmes. Other products we have used in the past become worn out, smelly and damaged quickly whilst training, and so we were told that the challenge was to see how these tops held up. We have had a read of the Polygiene website and understand the concept behind the material, but I was a little unconvinced because when you were a base layer under your catsuit it tends to smell, regardless of the material! However… This has not! We wore the tops for the 4 days in a row of the indoor slope training in Belgium and they are very warm, but somehow seemed to still not smell, although after 4 days we decided to wash them before the next camp anyway! I also thought that when we have been doing sport outside it provides excellent ventilation when you become over heated and lets you cool easily. The design is extremely comfortable being able to stretch around all of the needed areas and provides a sleek design. 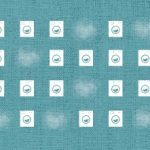 Unlike other thermals and outdoor wear it does not ride up or irritate your skin as it is a very soft and comforting fabric. Hopefully some of this feedback is helpful, and we certainly appreciate you sending us the tops and we’ll continue to wear them.